Life Is Strange has always been very focused on relationships. The first game was about rekindling a lost friendship while Before the Storm explored a fledging, teenage romance, and Captain Spirit looked at the unrelenting love of a son towards his father. Life Is Strange 2 is focused on two brothers, and how they interact with each other. Neither is old enough to be comfortably responsible, but 16-year-old Sean is forced into the role, becoming the protector and ward of nine-year-old Daniel. 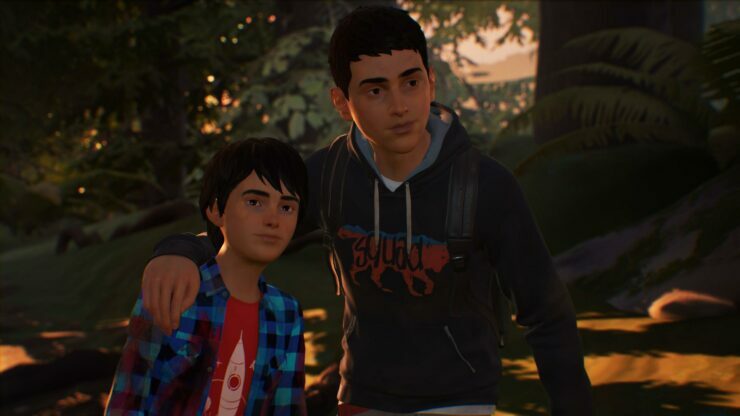 Fans of Life Is Strange and particularly those who have played the amazing and free Awesome Adventures of Captain Spirit might recognise these characters. But at this year’s Gamescom I had the opportunity to see two sections of Episode one of the new game. One was the opening scene, and the other was just shy of halfway through. It looks like DONTNOD have decided to change up the award-winning formula of the series, but nonetheless, the game has me very excited. Unlike any of the other games, Sean and Daniel are on a road trip. They are not residents of the infamous and eerie Arcadia Bay. The road trip is meant to be from Seattle to Mexico, which may well take them past Arcadia Bay if it’s still standing. What this does mean though, is that without a hub to return to, they probably won’t be having huge overarching relationships with characters they meet along the way. This is a huge change to what you might expect of the series, but one that looks positive. DONTNOD have clearly put a lot of thought into how they are going to treat this adventure and it’s certainly looking interesting so far. Sean will act independently of the main character, interacting with the world and starting a conversation on his own. These conversations also won’t be the face to face ones we’ve seen so far but will happen while moving and exploring the world. But despite this fundamental change, there will be a lot of recognisable material for fans to get their hands on. A big part in the Life Is Strange franchise is powers and the consequences of using them. Something is always just a bit supernatural in the games, from Max’s time-bending to Rachel’s debated fire mastery in Before the Storm. Life Is Strange is no different, with Daniel seeming the wielder of powerful telekinesis. Without the power to rewind, it looks like players won’t get to explore every avenue of conversation before making a choice, but this has been drip fed to us since the end of the original Life is Strange. This leads tragically to the second thing Life Is Strange fans will be all too familiar with: heartbreak. There is always tragedy in Life Is Strange and this sequel is no exception. In the first scene of the game, we witness Sean seemingly discover and unleash his powers after a simple accident ends in his father’s murder. The street is destroyed by his outburst and Daniel, in panic, takes his brother and runs, beginning the central adventure of the game. The early scenes leading to that moment are filled with the quiet tension of knowing something awful is about to happen but never the less the finale is profoundly sad. With the trailer showing off glimpses of that scene, I won’t bother spoiling it more, but it certainly doesn’t feel like the start of a heartwarming comedy. It also ties in with some of the current socio-political issues that may well be addressed further in the game. A police officer using excessive and deadly force on a person of colour is sadly not that uncommon today in the United States of America, and it seems like the game isn’t shying away from its underlying politics. Not much else is known about the game just yet, and we’ll have the wait and see what the game has in store for us when it releases later in September (the first episode, that is). 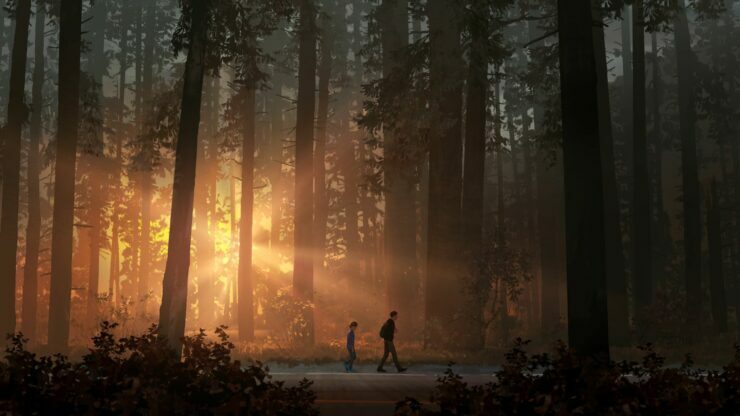 With beautiful graphics and some nice changes to the dialogue system, Life Is Strange 2 is shaping up to be a worthy successor to the series.